Georg Jensen Bracelet No. 32. The Georg Jensen created the Dove design in 1912. This bracelet measures 7.875 inches long and the links are .688 inch wide. 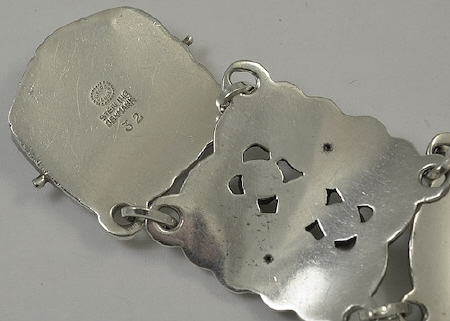 The bracelet bears impressed marks for Georg Jensen post 1945, Sterling, Denmark, 32 and is in excellent condition.